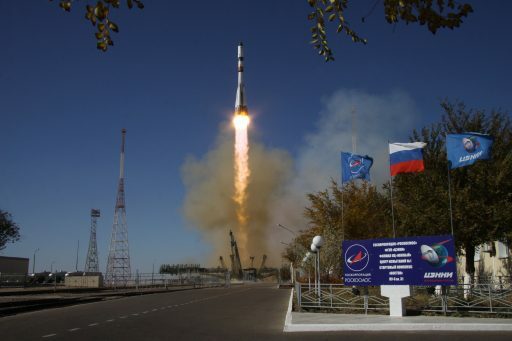 The modernized Soyuz 2-1A rocket lifted off from Baikonur’s Site 31/6 at precisely 8:46:53 UTC, turning to the north-east to drop the 7,428-Kilogram spacecraft off in the orbital plane of the Space Station, catching up from behind in an orbit 200 Kilometers below that of ISS. Separation of the cargo ship from its booster was confirmed eight minutes and 48 seconds into the flight, marking the beginning of a two-day trek to the orbiting laboratory with docking to the Pirs module planned on Monday. Progress MS-07 was originally planned to debut a new two-orbit rendezvous scheme, cutting the travel time to the Space Station by another two and a half hours compared to the currently-used four-orbit express flight profile. 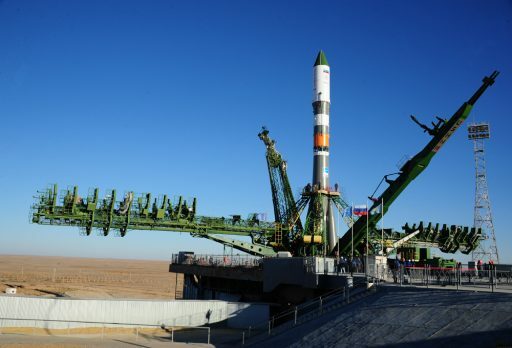 However, achieving a link-up in after just three and a half hours of flight time requires a precise orbital setup between the Space Station and Progress at the time the Station’s orbital plane lines up with the remote Kazakhstan launch site. Known as orbital phasing, this setup was in place for a launch attempt on Thursday with ISS preparing to be in the right place at the right time via a small orbit correction on September 27th. 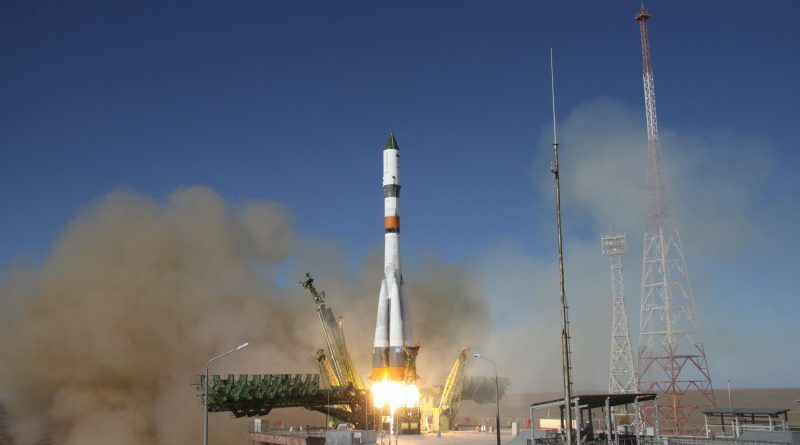 Plans for the fast rendezvous went out the window when the Soyuz 2-1A rocket suffered a last second pad abort in the moments leading up to engine ignition – a rare event for any orbital launcher, especially so for the venerable Soyuz that is known for its punctuality. 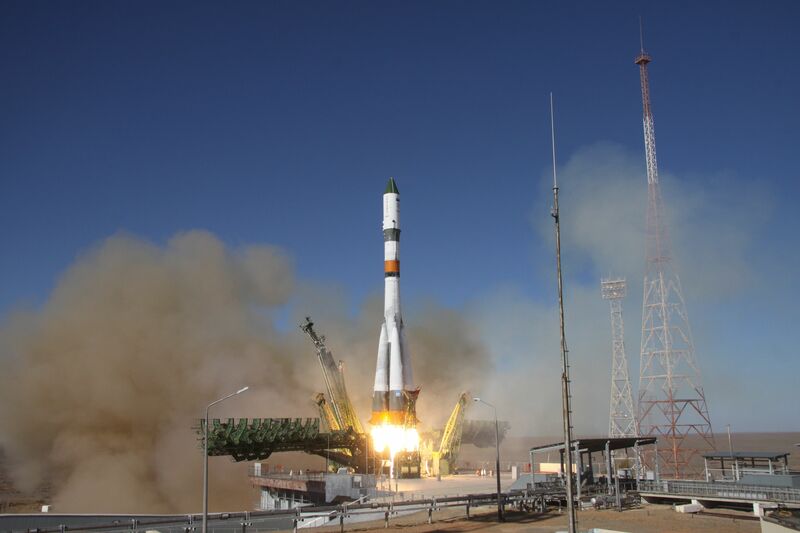 Standing fully fueled atop its pad, Soyuz had enjoyed a smooth countdown on Thursday and had been handed full control of the countdown one minute before the planned launch time. Launch Controllers inside the bunker at the pad announced the Launch Command had gone through at T-20 seconds, immediately followed by Soyuz moving into an automated AVD abort moments before the firing of engine igniters. According to knowledgeable sources on the Russian Novosti-Kosmonavtiki forum, the automatic abort was triggered due to a connector within the VKM umbilical mast – the lower of the two masts retracting before liftoff – triggering the AVD abort as the VKM remained attached to the vehicle. Roscosmos did not provide any details on corrective action implemented before Saturday’s attempt. Progress MS-07 – the 160th flight of a Progress craft since 1978 – is the third and final Russian resupply mission headed to the International Space Station this year, carrying the typical mix of food, fuel and supplies to the orbiting complex that recently stepped down from three to two permanent Russian crew members, a cost-saving measure enabling the reduction of annual Progress flights from four to three. It is the third to last ISS cargo mission of the year with another two vehicles inbound to the U.S. Segment before the year is out – the Orbital ATK Cygnus OA-8 has been firmed up for a November 10 liftoff and the 13th regular flight of the SpaceX Dragon is looking at a late November liftoff. 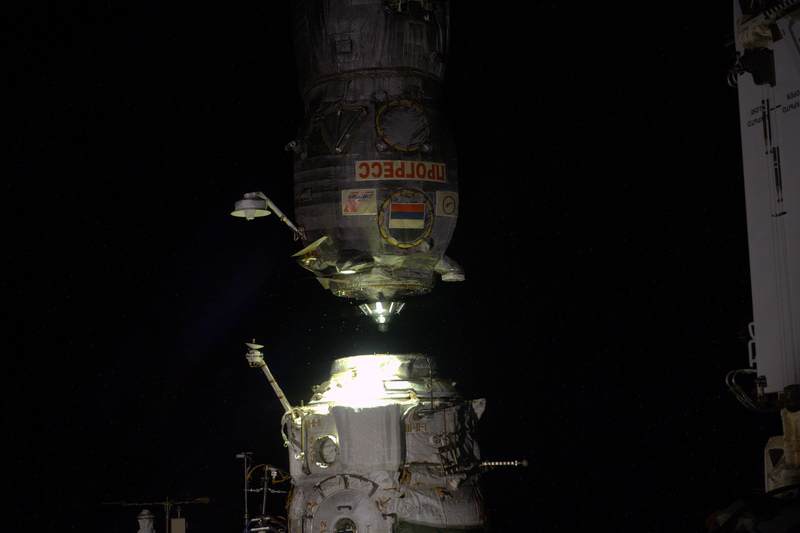 Progress MS-07 is the 70th Progress craft launched toward the International Space Station over its two-decade career and is currently the only craft capable of delivering propellant to the complex and assisting the Station’s propulsive needs in periodic reboost maneuvers. 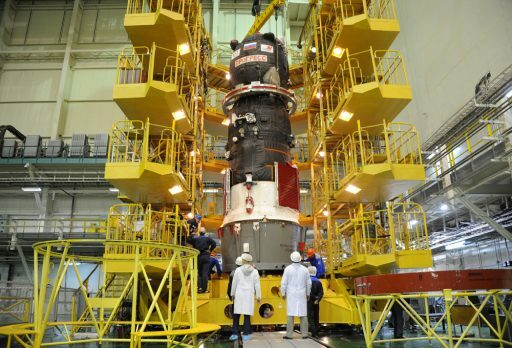 These also double as phasing burns to set up for fast-track rendezvous maneuvers that debuted in 2012 and have become the preferred method for ferrying crews to their destination in space in a matter of hours instead of having to endure two-day trips aboard the cramped Soyuz craft. With plans for a two-orbit approach falling through for this mission, it will be up to a future Progress craft to demonstrate the new flight profile which will utilize a combination of plane-change and altitude-raising maneuvers to enable a faster link-up with ISS while keeping propellant and phasing requirements within manageable margins. Once proven by Progress, the two-orbit profile will be introduced for the Soyuz to shorten an arriving crew’s first flight day which, with the current profile, is usually longer than 20 hours. Saturday’s Progress mission also served as a rehearsal for future crewed Soyuz launches atop the modernized Soyuz 2-1A rocket that replaced the retired Soyuz U earlier this year and will do the same with the Soyuz FG rocket in 2019. According to reporting by Russianspaceweb.com, Progress MS-07 rehearsed the launch sequence for crewed Soyuz launches on the Soyuz 2-1A by rotating the launch table at Site 31/6 to an azimuth of 60 degrees to test out the vehicle’s flight control response to these changing starting conditions. Rotating the Soyuz launch table was common practice for the early Soyuz variants that featured analog flight control systems which were unable to execute a roll maneuver after launch and essentially needed to be pointed to the correct departure path. 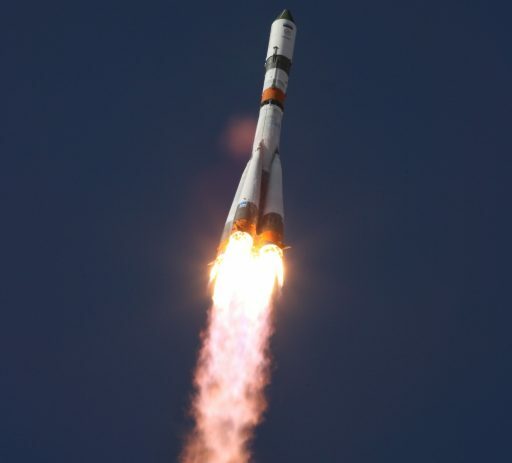 Soyuz 2 – featuring upgraded digital systems – has the ability to roll onto the correct azimuth in flight; however, when paired with Soyuz will use the heritage launch abort system which is non-flexible and pulls the capsule away along a pre-determined direction relative to the launch vehicle coordinate system – thus still requiring the launch table to be pointed to the correct abort direction. Being turned around after its last-second abort, Soyuz re-started countdown operations at sun-up on Saturday with a series of final checks while teams went through tanking preparations. 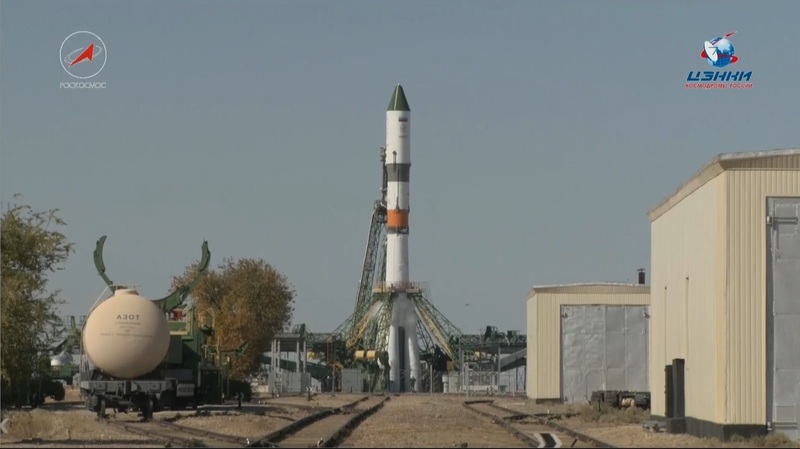 The Russian State Commission provided clearance to load the vehicle with propellants over a two-hour sequence picking up at T-4 hours. Soyuz received some 274 metric tons of rocket-grade Kerosene and -183°C Liquid Oxygen oxidizer, taking on a new color scheme as the outside of its tanks froze over. Additionally, engineers loaded the boosters with highly reactive Hydrogen Peroxide to drive the engine turbopumps while Liquid Nitrogen was pumped into spherical tanks to be heated up during flight to keep the propellant tanks at pressure. The 46-meter tall rocket was revealed on its pad at T-50 minutes when the two halves of the Service Structure were lowered, initiating the final steps leading into the start of the Automated Countdown Sequence six minutes before launch. 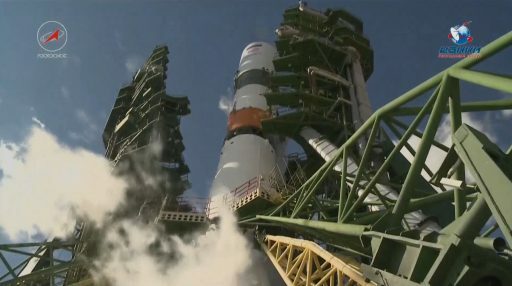 Progress was running on internal power when Soyuz entered its final countdown sequence with the purge of the engine system to ensure a clean ignition, the pressurization of all 12 tanks on the vehicle and the handoff to internal power and control at T-1 minute. The Launch Command was sent at T-20 seconds and both umbilical masts, KZM and VKM, moved away from the rocket as the vehicle cleared Thursday’s abort point. 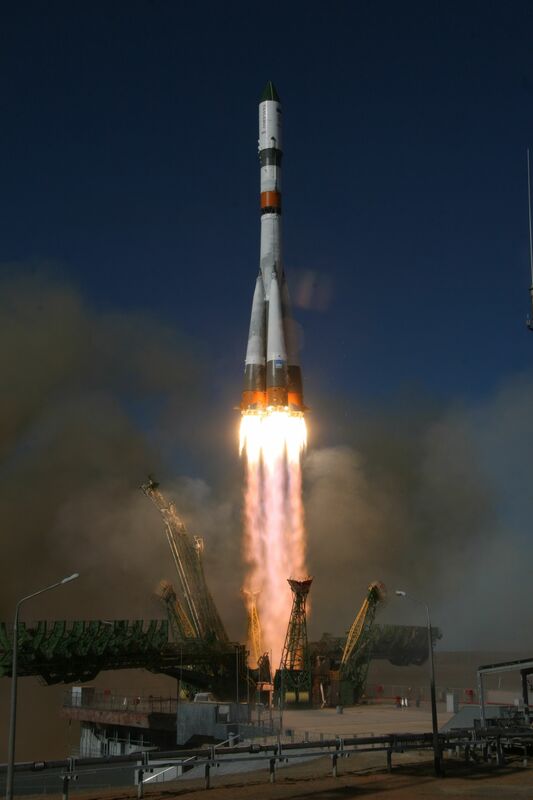 Coming to life, Soyuz first spun up its engine pumps and went to an initial thrust level before throttling to a total launch thrust of 422 metric tons, overcoming counterweights to lift the 310-metric ton vehicle off the ground. At the moment of liftoff, marked at precisely 8:46:53.478 UTC, the International Space Station was half a world away, flying over the South Atlantic Ocean – showcasing what a difference a two-day delay can make on the phase angle between the chasing spacecraft & its target when aiming for an in-plane launch. For a two-orbit rendezvous, ISS would have been just 165km from the launch site at the moment of liftoff. Rumbling away from Baikonur, Soyuz entered its pitch maneuver to get aligned with the typical north-easterly trajectory taking it toward the Russian-Kazakh border. Burning 1,600 Kilograms of propellant every second of powered flight, Soyuz ascended into clear skies over the remote Cosmodrome, passing the speed of sound and encountering Maximum Dynamic Pressure one minute into the flight. The four liquid-fueled boosters, each generating 838kN of thrust with a four-chamber RD-107A engine, finished their job one minute and 58 seconds after liftoff, having helped accelerate the vehicle to a speed of 1.5 Kilometers per second. 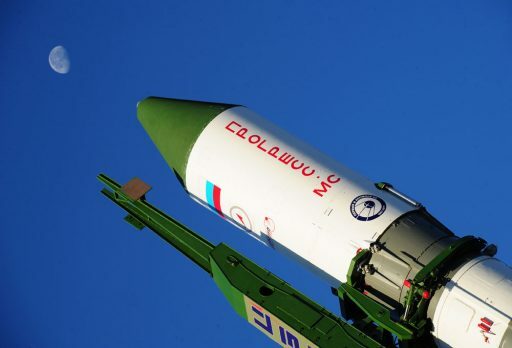 Jettisoned from the still-firing core stage, the 19.6-meter long boosters swung outward and tumbled toward a crash landing 348 Kilometers from Baikonur. Climbing out of the discernible atmosphere, Soyuz relied on the RD-108A engine on the core stage, delivering a vacuum thrust of 990 Kilonewtons. Three minutes and three seconds into the flight, Soyuz split open and jettisoned its protective launch shroud – as would also be the case for a crewed Soyuz 2-1A mission as opposed to holding the shroud until third stage operation which had been the procedure for previous Progress launches atop the 2-1A version. The core stage exhausted its 91-tonne propellant supply four minutes and 46 seconds into the flight, shutting down its engine and kicking off the hot-staging sequence. The RD-0110 engine of the third stage began firing through a truss structure between the stages before the separation pyros were initiated to allow the Block I to pull away from the spent core and continue powered flight toward orbit. Ten seconds into Block I’s operation, the three aft section covers were jettisoned to fully expose the engine section with its four main nozzles and four gimbaled verniers delivering stabilization. The third stage fired for three minutes and 58 seconds, generating 298 Kilonewtons of thrust to push the Progress into orbit with spacecraft separation occurring eight minutes and 48 seconds after launch. Immediately after separation, Progress executed time-tagged commands to deploy its two power-generating solar arrays and the KURS navigation antennas, events closely watched by Mission Control Moscow, as was the pressurization of the Unified Propulsion System to ensure the spacecraft was ready to begin maneuvering. While passing over tracking stations in Russia’s far east, Progress began an initial checkout of its flight control and KURS systems before embarking on the first of 34 orbits until reaching the Space Station. Sticking to the conventional two-day rendezvous profile used since the days of the Mir Space Station, Progress will be tasked with a pair of orbit-raising maneuvers on its third lap around the planet. Parameters for these firings of the 300-Kilogram-force KTDU main propulsion system will be re-calculated based on measured orbital parameters and uplinked to the Progress after its first lap around Earth. An orbital fine-tuning maneuver on Sunday will tune the craft’s course to be in the correct position for the initiation of the Automated Rendezvous Sequence Monday morning to move into the immediate neighborhood of the Space Station under guidance by the KURS radio navigation system. Progress MS-07 will make a slow lap around the Station starting at a distance of 400 meters to line the spacecraft up with the Pirs docking compartment for a straight-in approach covering the last 180 meters to docking – planned at 11:09:57 UTC per the latest trajectory calculations.